Student loans are leaving millions of Americans with really bad hangovers. Gee, it's more difficult than they thought. 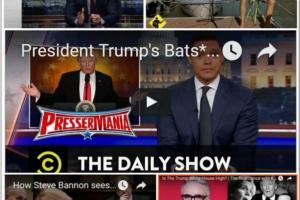 Colin Jost and Michael Che tackle Rudy Giuliani admitting President Donald Trump knew about the Stormy Daniels payment. 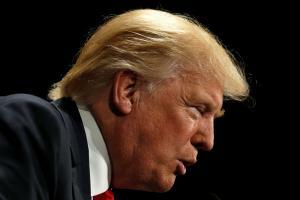 During a no-holds-barred press conference, President Trump lashes out at the media, pushes lies about his Electoral College victory and boasts that he's not anti-Semitic. New Yorkers know that the biggest con job since the Trojan horse is taking place in our midst. A Special Fourth of July Message About Patriotism. More Torture Talk From Donald Trump. Homeless Man Joins Busker for Spontaneous Street Jam. Jesse Williams' Fiery BET Awards Speech. Jessica Williams Questions Sanders-to-Trump Supporters. 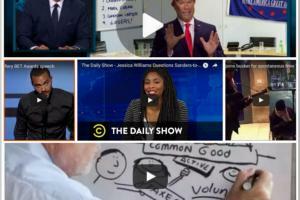 Jessica Williams finds out why Bernie Sanders supporters have pledged their allegiance to Donald Trump and bids farewell to The Daily Show.